Sweet Stuff for my birthday! 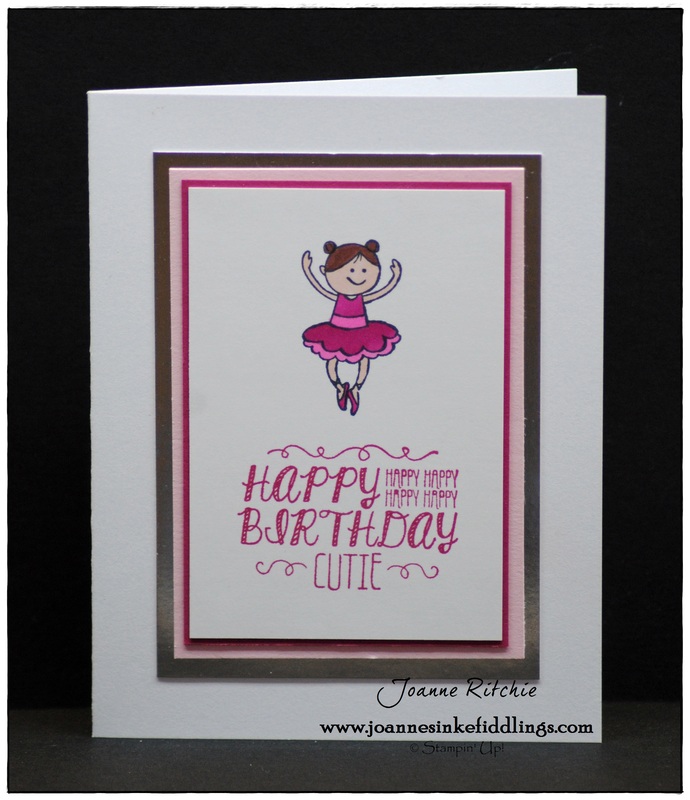 Here is MY card to ME, remembering my glory days of a six-year-old ballerina. Ah yes, good times, good times! This next card was one of those cards that kept on giving. Initially it was just the center piece. Well, that seemed awfully dull so out came some Lullaby DSP which naturally required a border. The sentiment seemed lifeless so the bird flew in. Both it and the ice-creams were colored using Blendabilities. I did attempt coloring the sentiment with them also but the Pistachio Pudding Marker was what was needed. 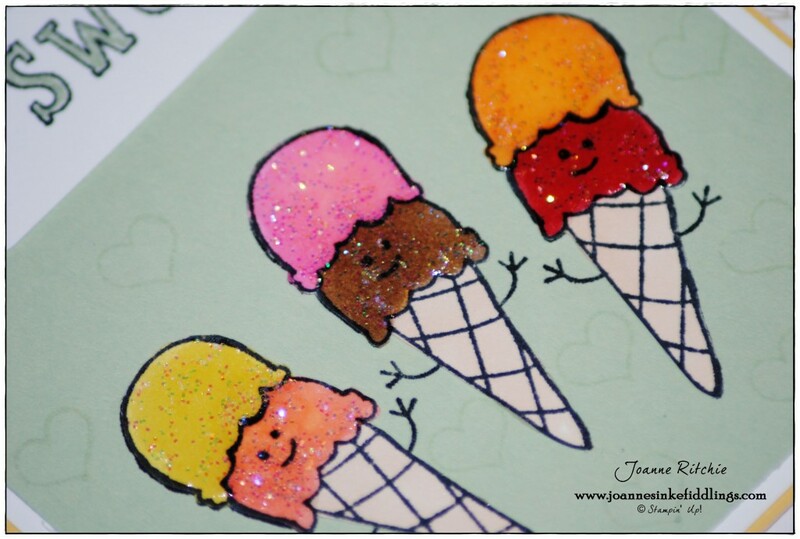 After the ice-creams were adhered I decided to use some Dazzling Details on them. Then seeing that had a matte finish when dried rather than a gloss I added some Liquid Crystal. The Pistachio Pudding Cardstock then seemed lifeless so with the heart from the Project Life Point & Click Stamp Set, I randomly stamped in Pistachio Pudding over it. When I first saw today’s Mojo Challenge I knew exactly what I wanted to do. This is today’s sketch for Mojo 331. 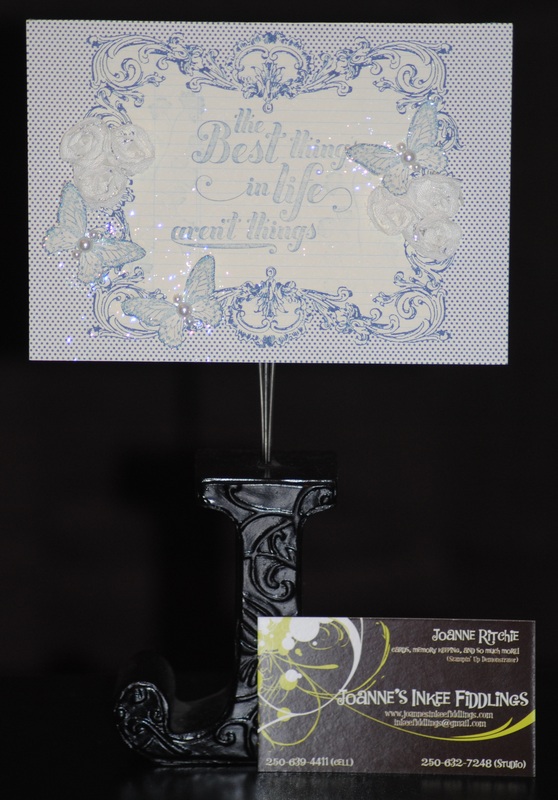 For the Decorative Dots Embossing I used White Vellum then cut a banner from the Gingham Garden DSP which was lined with some Primrose Petals Cardstock. 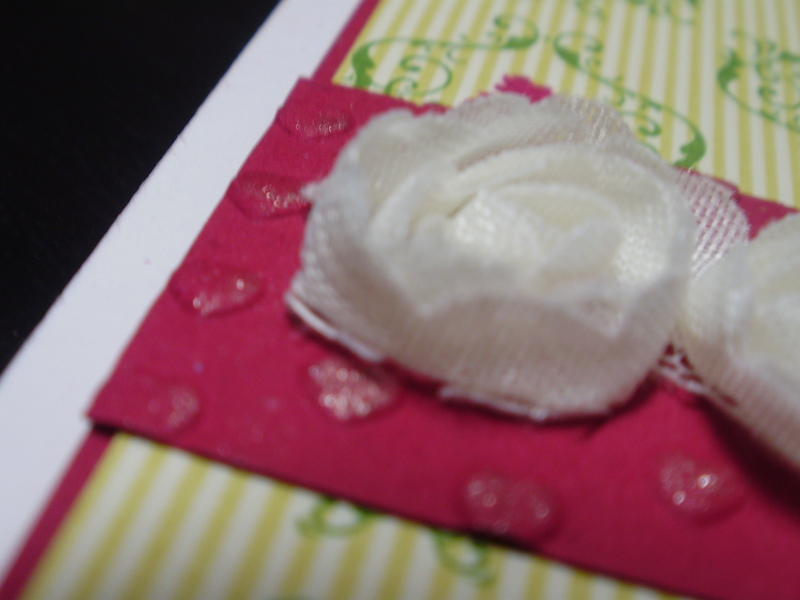 A strip of Primrose Petals 3/8″ Stitched Satin Ribbon lies diagonally between the embossing and the cardstock. The square of cardstock to go under the sentiment I chose in So Saffron then stamped in So Saffron Classic Ink with a stamp from the Sale-a-Bration You’re Lovely set. The stamp is a clean set of four little flower-like images but I stamped it randomly albeit always horizontally. The butterflies come from the Beautiful Wings Embosslits. 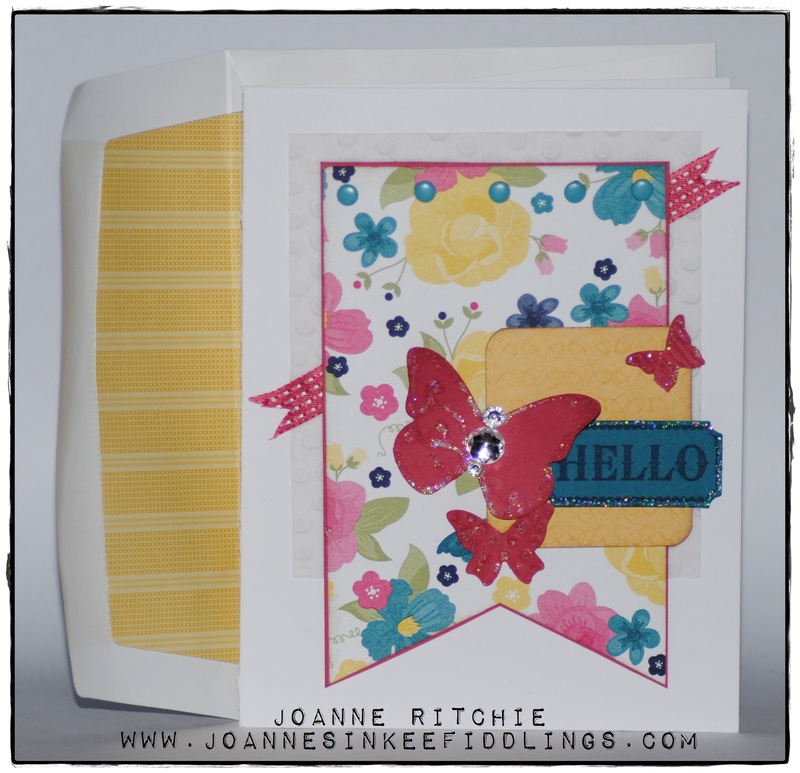 Both the butterflies and the Hello sentiment from the Label Something Stamp Set have been edged with Dazzling Details. Across the top of the banner I’ve added some Tempting Turquoise Candy Dots (I thought I was adding Island Indigo but wasn’t if close, ha)just for a little something extra. 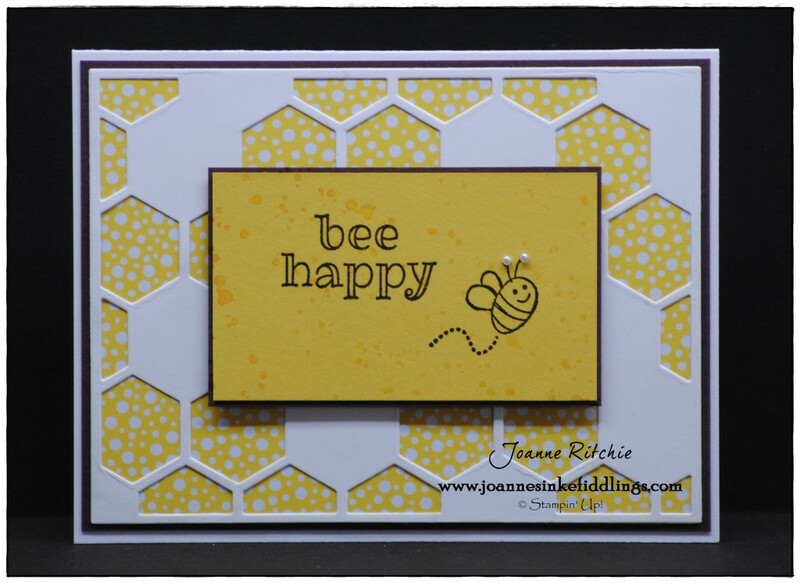 Or should I be saying bring on the new catalog, I’m not sure but before the 2013-2014 IB&C goes live in a matter of hours, here’s one last card with products from the Spring Catty which will be finishing tomorrow night at midnight. So… bring on the sunshine! Wow, the flash makes it look as if I’ve used a lot more Dazzling Details than I have! It’s only on the leaves and flower petals believe it or not. Isn’t the bird cute though? 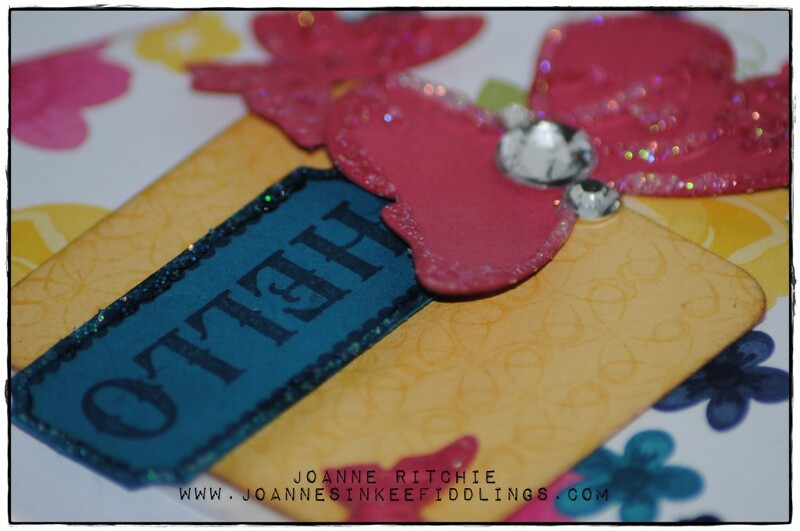 It’s a strip of DSP from the Birds of a Feather collection. 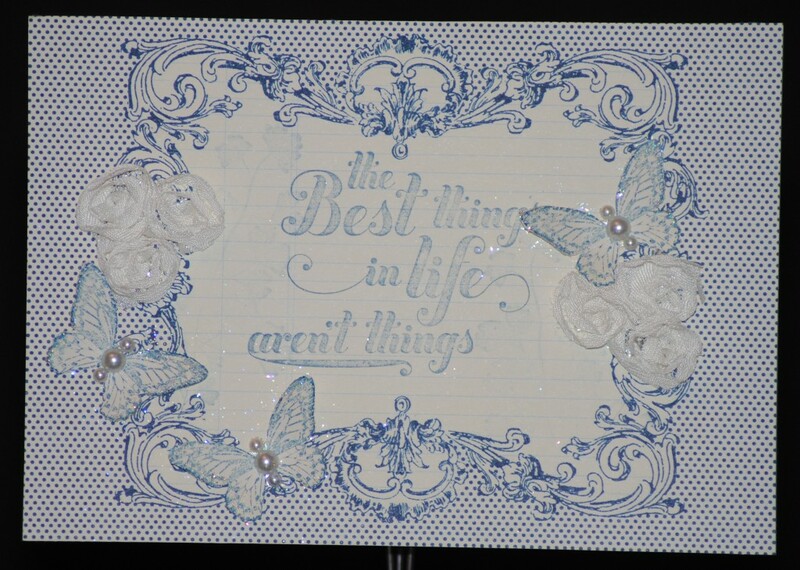 The card was seeming a little flat so I added one of the Designer Builder Brads to the center and to the center of that I’ve added Basic Pearl Jewels (uh-oh, and I thought I’d been using a lot of the butterflies lately...). This card all but made itself. A few weeks back I was once again pondering what could be done with the a couple of the designs in the SU! Print Poetry DSP Stack as the design was almost an embellishment itself. 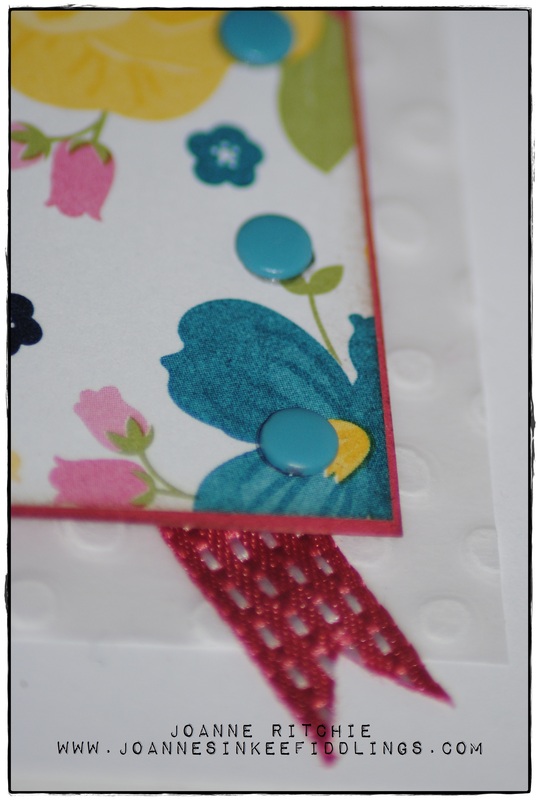 This is a closer look at the card. The DSP has been trimmed to fit the entirety of the card front. 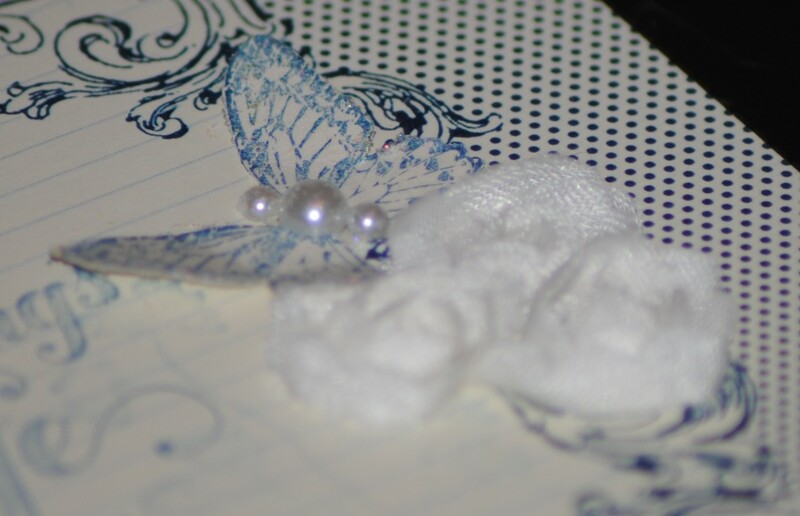 For the sentiment I chose one from the Feel Goods set in the Spring Catty (which finishes next Friday… just sayin‘). With a couple of glue dots I adhered the butterflies so their wings were three-dimensional then added both some Dazzling Details and Pearl Basic Jewels to each. How quick and easy was this, yet how fabulous was the result? 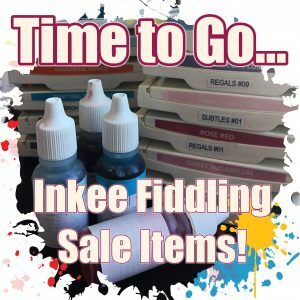 Let me know how your’s go and don’t forget, we really are on the final count-down now for the Spring Catty… only seven days to go so please, PLEASE contact me today to place your order. 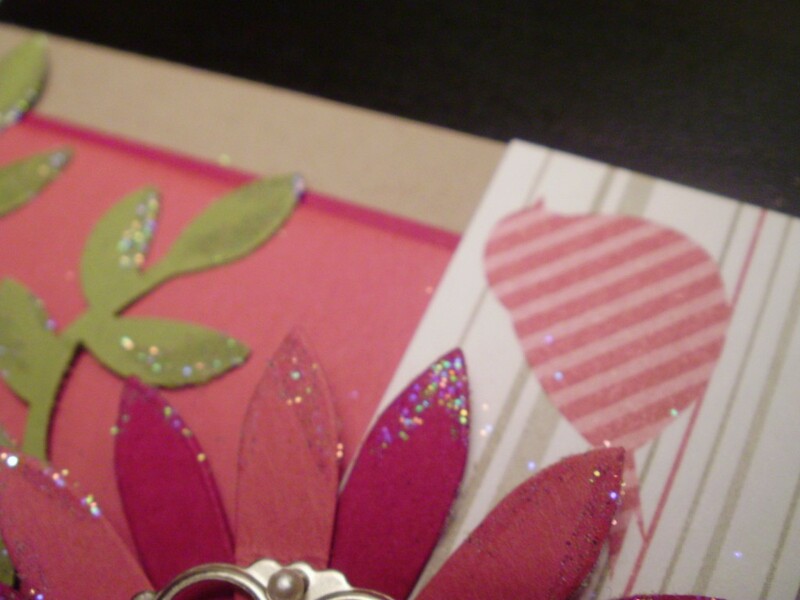 Particularly if you want any of those Vanilla Flowers, Print Poetry DSP and the Feel Goods Stamp Set. HURRY and spare me from the ten year old’s downstairs! 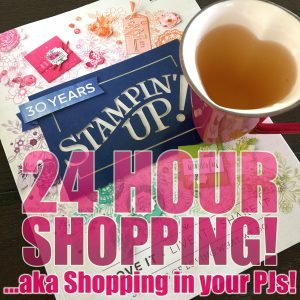 As promised, here is my girlie take on the Just Thinking stamp available now in the Stampin’ Up! 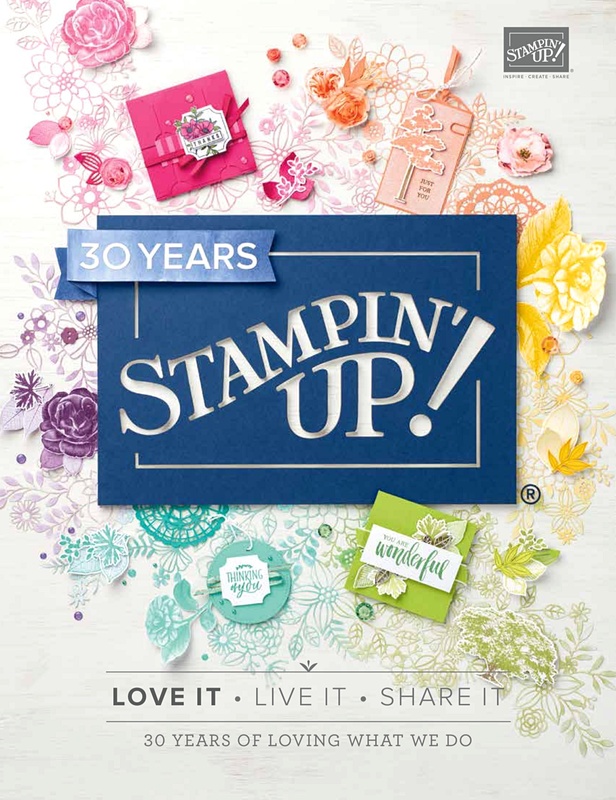 Spring Catalog but only until the end of next week, May 31! On a background of Whisper White I’ve adhered some Print Poetry DSP layered onto Raspberry Ripple. 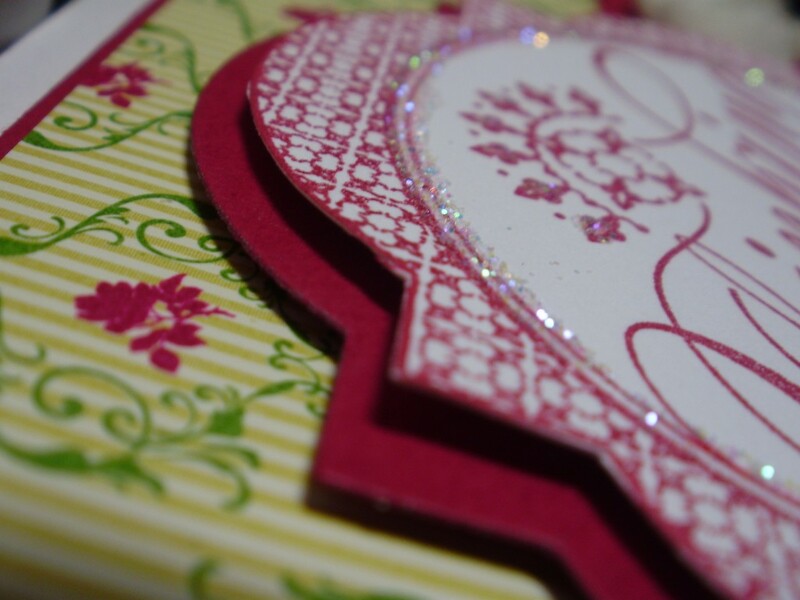 Still in the Raspberry Ripple I’ve used the heart adorning accent folder to emboss an inch-wide strip which has been gently rubbed with Champagne Mist Shimmer Paint then centered on the card. 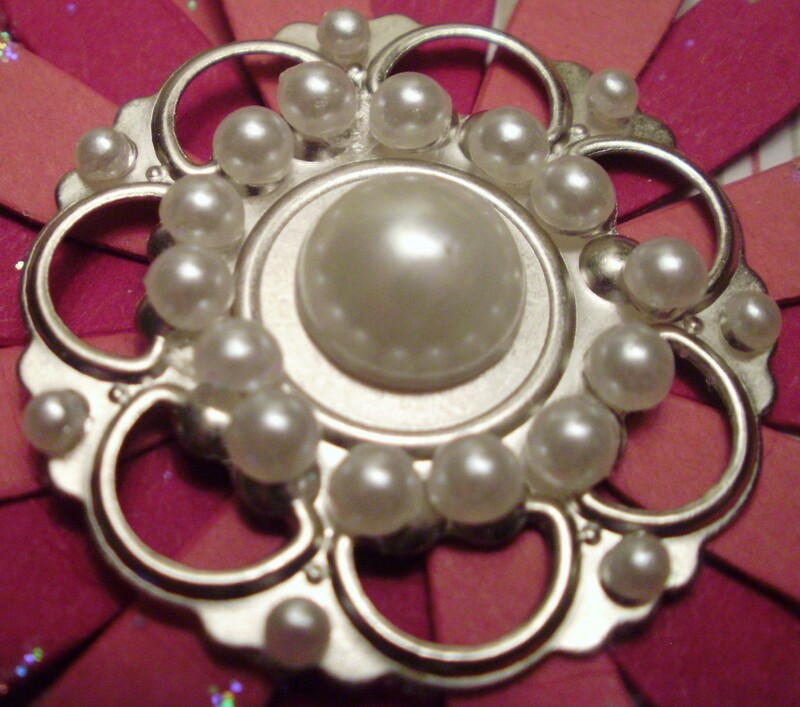 To this on either side I’ve added some of the 5/8″ Flower Trims. 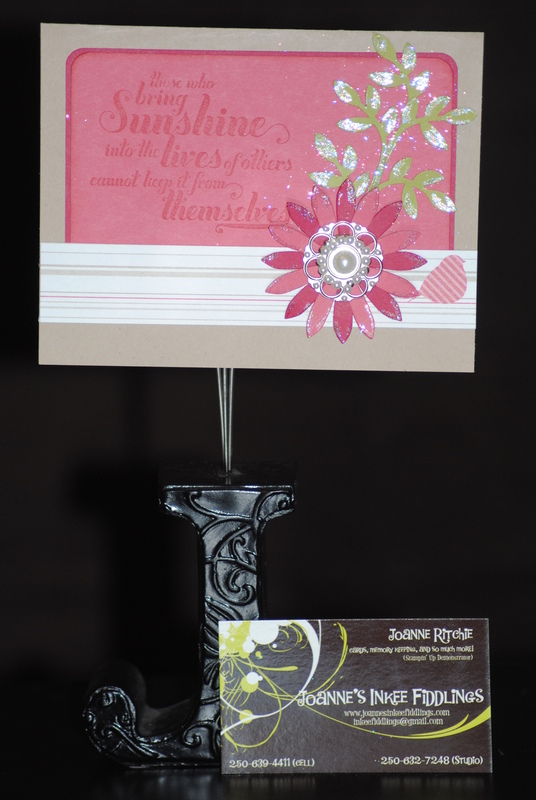 For the stamp I used Raspberry Ripple Classic Ink on Whisper White, cutting close to the edge. 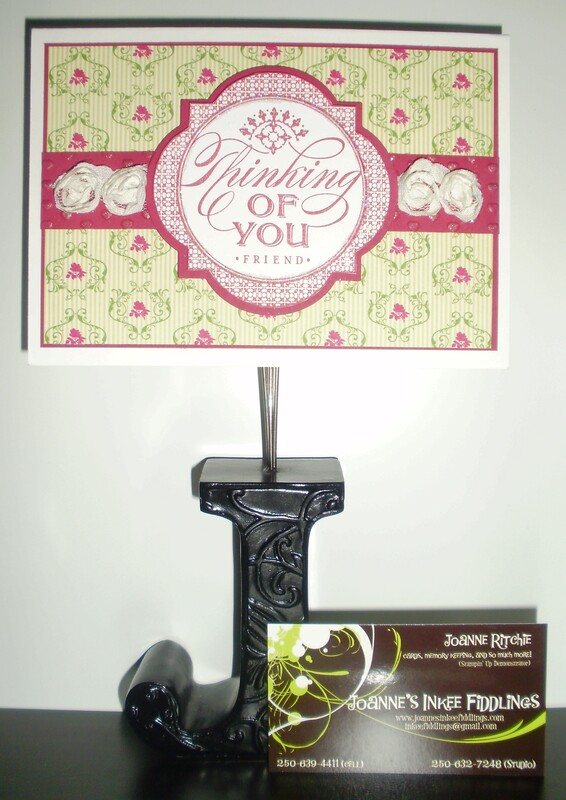 Using Stampin’ Dimensionals, this was centered on a frame die-cut from the Window Frames Collection Framelits Dies in Raspberry Ripple. 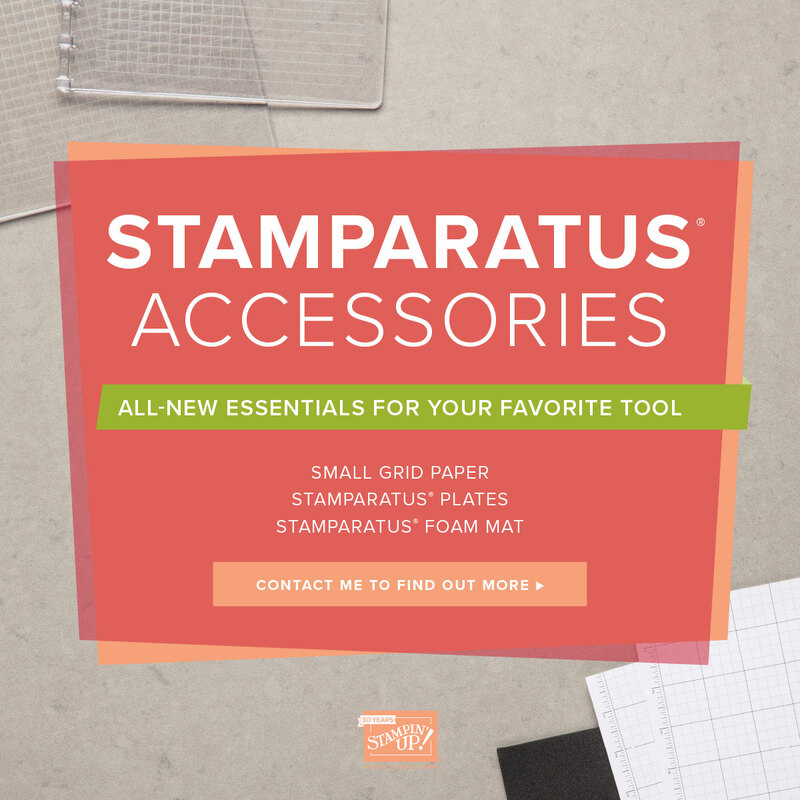 This too had Stampin’ Dimensionals added to it along with the Dazzling Details before being centered onto the inch embossed strip. Cute huh?! 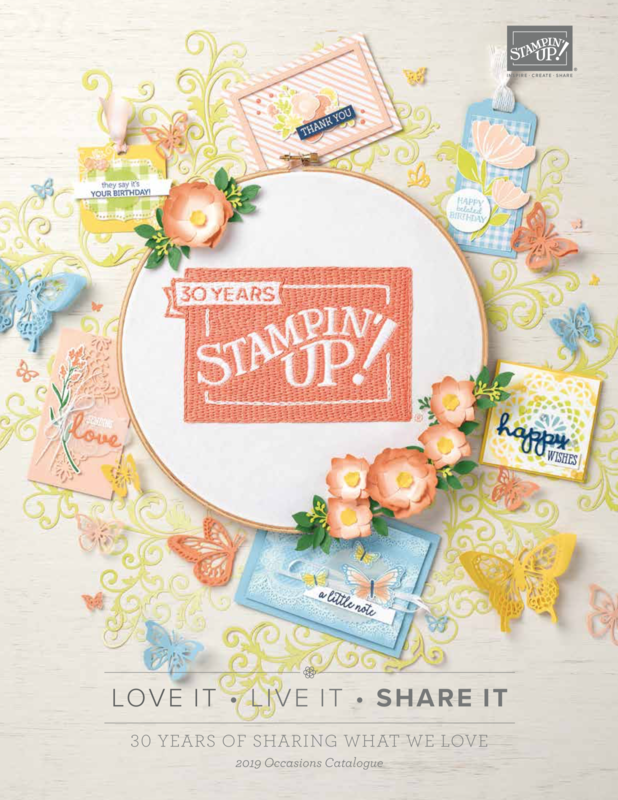 Now, I’m not trying to scare you but… as you can see from my count-down widget, there’s only eight days to go before the release of the 2013-1014 Idea Book and Catalog which coincides with the final day of the Stampin’ Up! Spring Catalog next Friday, 31 May so call me (250-632-7248). So be quick, get your orders in and for all orders over $50 receive a complimentary copy of the 2013-2014 Idea Book and Catalog!